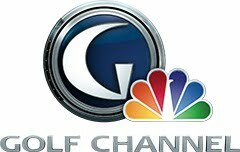 July 5, 2012…Grey Bruce, Ontario – Cobble Beach’s award-winning links-style golf course, designed by Doug Carrick, is now accessible by boat and seaplane with the launch of a new floating day dock. The latest addition to the distinguished luxury resort community marks a new destination on Georgian Bay. As the only golf course in the area with direct water access, the 260 ft. dock has already attracted chartered aircrafts and mariners from across the region. “This is one of the largest day docks in the area, and we are very excited to provide a new recreational and commercial destination to communities all around Georgian Bay and beyond,” says Rob McLeese, President and Owner of Cobble Beach. Leisure boaters throughout Georgian Bay can tie up at Cobble Beach’s new dock, which welcomes vessels of all styles and sizes, from compact speedboats to 120 ft. yachts, with depths ranging from 5.5 ft. to 11.5 ft. Golf enthusiasts from the U.S can clear customs at nearby Wiarton Airport and enjoy easy access to one of most renowned courses this side of the Atlantic. Vacationers from Muskoka, Michigan, Sudbury and beyond can now pop-in by water or by air to enjoy a world-class round of golf, indulge in a gourmet meal from the award-winning Sweetwater Restaurant, play tennis at Cobble Beach’s U.S Open-style tennis courts or relax with one of the resort’s signature treatments at Cobble Beach Inn & Spa. The milestone addition to Cobble Beach took close to nine months to complete with a price tag of more than $350,000. Built to withstand the high winds of Georgian Bay, the reinforced dock is surrounded by 65 ft. of wave attenuators, weighing 48,000 pounds and protruding 6 ft. deep to ensure calm waters on the south side of the dock along Cobble Beach’s 1.6 KM of breathtaking shoreline. Located 6 KM north of the Owen Sound Marina, the dock at Cobble Beach is open daily from 8 a.m. to 8 p.m. Guests can enjoy complimentary shuttle service from the shore to Cobble Beach’s Nantucket-style Clubhouse with a quick phone call to the Proshop upon arrival, 519-370-2173 x 104. 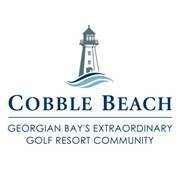 For more information, visit www.cobblebeach.com. Cobble Beach is a four-season resort community located along the stunning Georgian Bay shoreline just north of Owen Sound, Ontario. Featuring an award-winning 18-hole links-style golf course designed by Doug Carrick, Nantucket-style Clubhouse and Boutique Inn by Richard Wengle, Cobble Beach also boasts resort-style amenities including the popular Sweetwater Restaurant & Bar, a five-star spa, fitness centre, swimming pool, private beach and US Open-style tennis courts. Cobble Beach features year-round recreation with more than 14 kilometres of scenic hiking, biking, snowshoeing, and cross-country ski trails.